Eliminate manual pulling, pushing and lifting of loads and improve productivity. 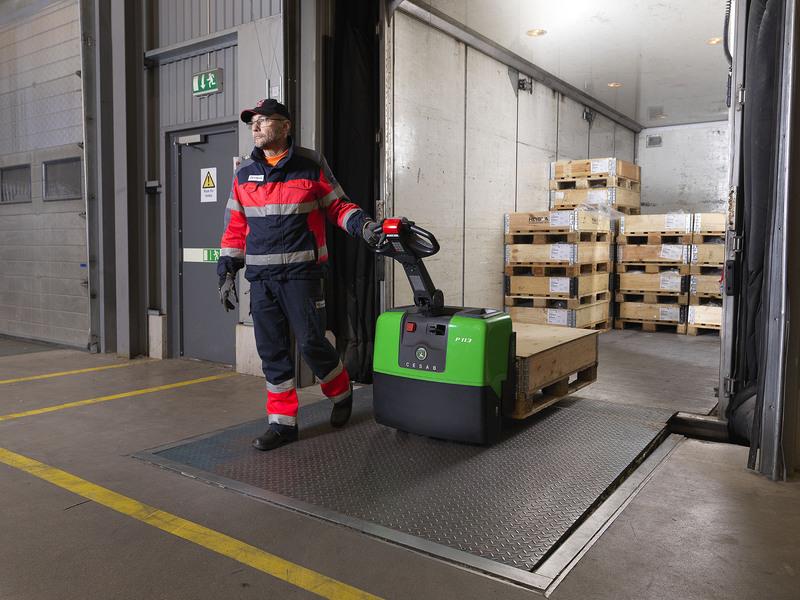 The CESAB P113 powered pallet truck is an ideal upgrade from a hand pallet truck. 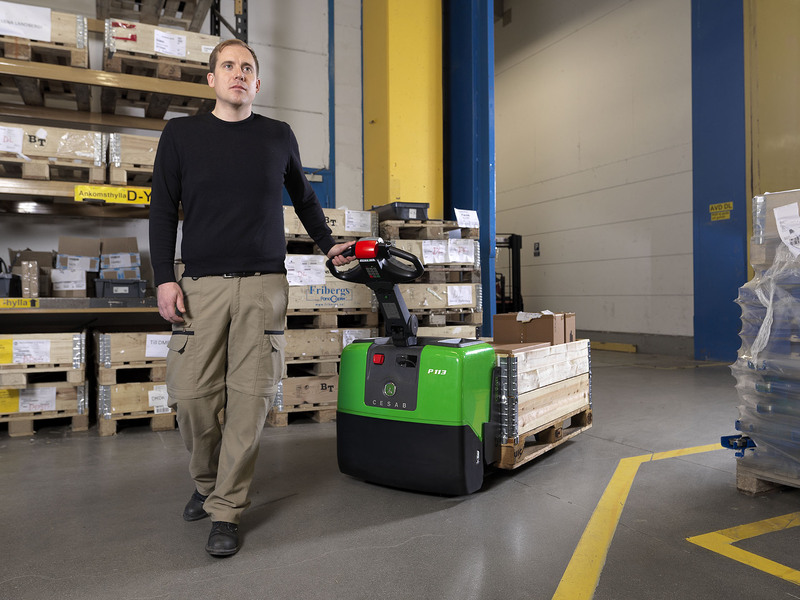 Ideal for low intensity operations in confined spaces thanks to his compact size and excellent manoeuvrability. 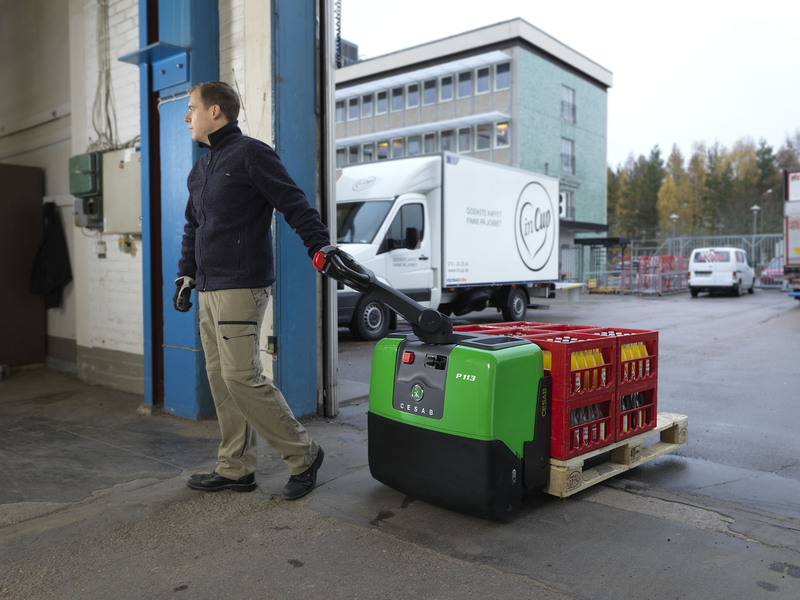 CESAB P113 is in addition perfect for use in the back of delivery lorries thanks to the in-vehicle charger option.